Would you like to go for a walk at the park? Here is The Commons, block #12 of our City Girl Sew Along. 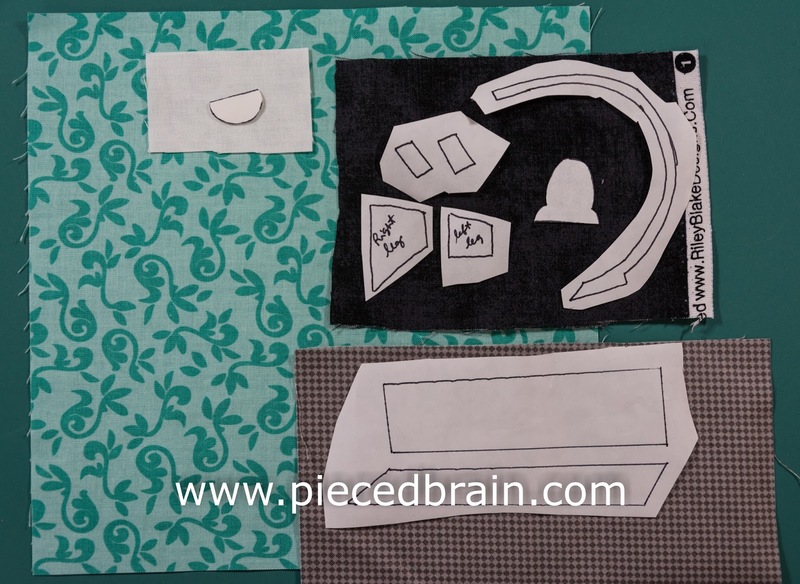 This applique block won't take you any time at all to put together. 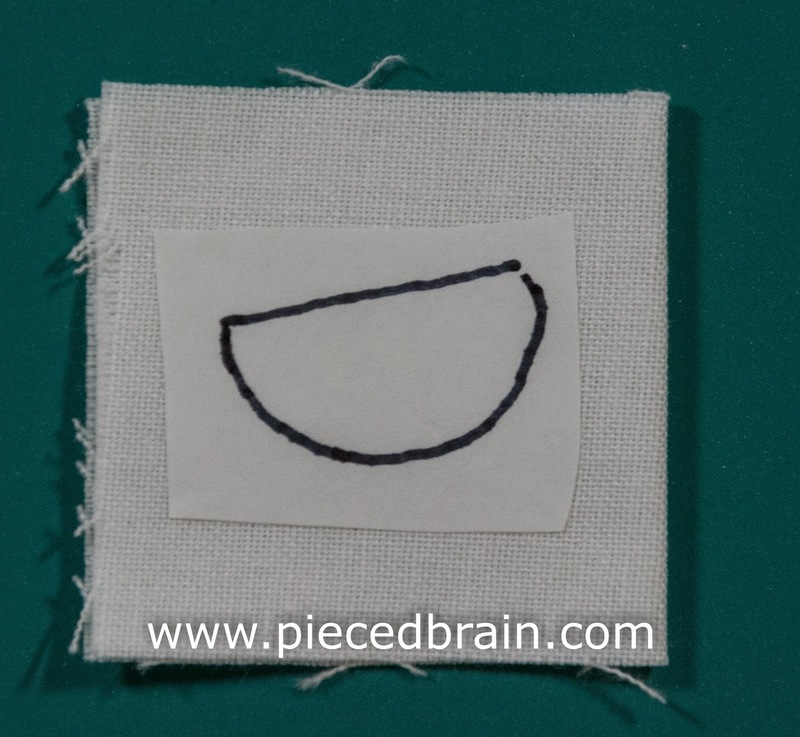 I made two templates: one for placement and one with the applique shapes, already reversed to make it easier for you. Trace applique shapes onto smooth side of HeatnBond Lite (or fusible web of your choice). Cut around the shapes as shown on picture above, and iron them to back of fabrics. For more information about how to work with fusible web, click here. One note about the light bulb: since the background fabric would show through the white, fuse a piece of fusible web to the wrong side of the white fabric. 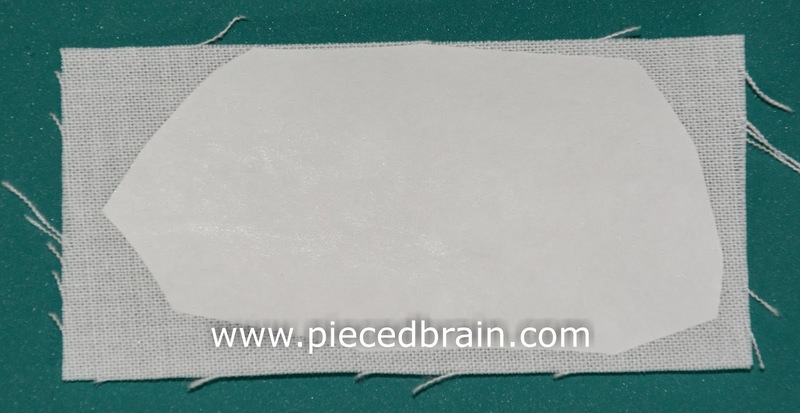 Once it cools, remove the paper, fold the fabric rectangle in half WST, and press. Then, fuse the lamp shape to the white fabric, and cut around it. Now, the double layer of white will not allow the background fabric to show through. Fuse all applique shapes to background (for placement and shape templates, click here). 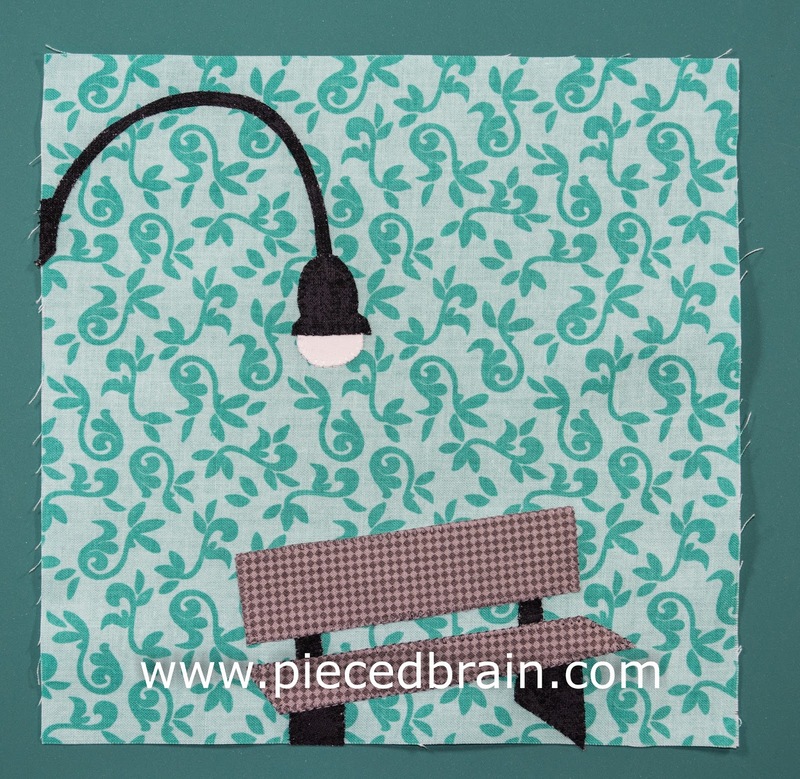 Applique them with thread that matches each applique piece using: straight stitch on the lamp post, then blanket stitch on the lamp, light bulb and bench. You are done! Annmarie, these are wonderful! I can't wait to see your next blocks! Although this is a scrappy quilt, notice how Annmarie and I repeat fabrics in our blocks which, in the end, will bring harmony into the quilt. Block #13 will involve applique... but I will wait until next Thursday to show it to you. In the meantime, enjoy any time you have to quilt, sew, and make other crafts. Crafting brings piece to one's soul and body!